Aries: You found your other half. Both of you have an upbeat attitude and are very independent. Taurus: There could be plenty of attraction, but you are very different from one another. Gemini: Perfect combination! Plenty of intellectual interaction and you are totally attracted to the radiant Gemini personality. Cancer: You live in the future and Cancer loves to contemplate the past. This combination is a bit too melancholic. Leo: Leos are a mystery to you. Sometimes you feel like studying their brains, and you don’t understand how they can be so self-centered. Virgo: This relationship might not work. He could be too analytical and predictable for you. Libra: Incredible combination with a strong sexual energy! Both of you will love the social life. Scorpio: It will be difficult to maintain this relationship because you are so different. Sagittarius: You sparkle when you are together. There is a lot of attraction between you two. Capricorn: Plenty of attraction here, but it won’t be a long-lasting relationship. Aquarius: Yes! What a perfect combination. You get along beautifully. Pisces: You are attracted to each other, but this won’t last long. You are too sensitive and he is too detached. 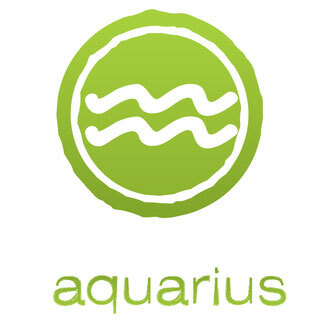 The Aquarius Women: They are unpredictable, independent and rebellious! Tell her you are taking her out to dinner, but instead, take her to a suite in a nice hotel, order a fancy dinner and don’t try to seduce her. Wait to do that when you are taking her home, stop the car on the way, and make passionate love with her. She will fall into your arms. They love creative and unexpected actions from men. The Aquarius Men: They are charming, modern and humanitarian. They love freedom, so don’t mention the word ‘marriage’. Try to be his friend first. Aquarius have an affinity for unusual. They have a terrific sense of humor, they are spontaneous and they love freedom. Aquarius are UNPREDICTABLE. They are easy to seduce but hard to keep. gift certificate would make her thrilled! Aquarius Guys: They are fickle! Their attention can move from one thing to the other in seconds. Get him the newest electronic gadget. A new software program or a new video game. They would love a new trendy shirt or an off Broadway show that is controversial and different, like Forza Bruta at Union Square.